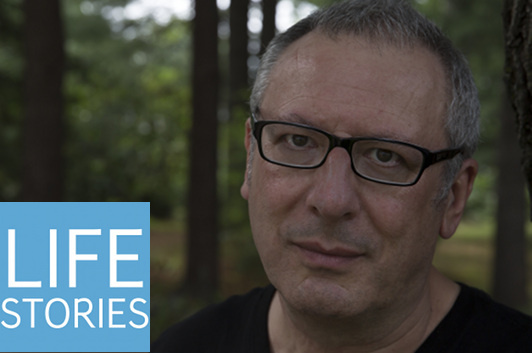 In this episode of Life Stories, I chat with Jonathan Wilson about Kick and Run, a “memoir with soccer ball” that begins with his growing up in midcentury London to his life as a father, fiction writer and now memoirist in the United States—with football serving as the common element throughout. So we talk about everything from the unsupervised games of his childhood to his arrival in New York City in 1976 (when Americans didn’t yet know much about the sport) to covering the 1994 World Cup for The New Yorker to coaching his own children’s youthful soccer matches. This is the final episode of Life Stories for 2013, and a lot has happened with the podcast these last twelve months! It’s a fantastic opportunity, getting to talk to so many memoir writers about their lives and the art of writing memoir, and I’m looking forward to what 2014 has in store. Thanks for listening!